As we seek to continually improve the Visual Studio Code experience for Java developers, we’d like to share couple new features we’ve just released. Thanks for your great feedback over the year, we’re heading into the holidays with great new features we hope you’ll love. Here’s to a great 2019! With the new release of the Eclipse JDT Language Server, we’re removing the friction some developers experienced in ensuring renamed Java classes perpetuate into the underlying file in Visual Studio Code. With the update, when a symbol is renamed the corresponding source file on disk is automatically renamed, along with all the references. VS Code Logpoints is now supported in the Java Debugger. Logpoints allow you to inspect the state and send output to debug console without changing the source code and explicitly adding logging statements. Unlike breakpoints, logpoints don’t stop the execution flow of your application. To make debugging even easier, you can now skip editing the “launch.json” file by either clicking the CodeLens on top of the “main” function or using the F5 shortcut to debug the current file in Visual Studio Code. TestNG support was added to the newest version of the Java Test Runner. With the new release, we’ve also updated the UI’s of the test explorer and the test report. See how you can work with TestNG in Visual Studio Code. We’ve also enhanced our JUnit 5 support with new annotations, such as @DisplayName and @ParameterizedTest. Another notable improvement in the Test Runner is that we’re no longer loading all test cases during startup. Instead, the loading now only happens when necessary, e.g. when you expand a project to see the test classes in the Test viewlet. This should reduce the resource needed on your environment and enhance the overall performance of the tool. We’ve included the recently released Java Dependency Viewer to the Java Extension Pack as more and more developers are asking for the package view, dependency management and project creation capability provided by this extension. The viewer also provides a hierarchy view of the package structure. 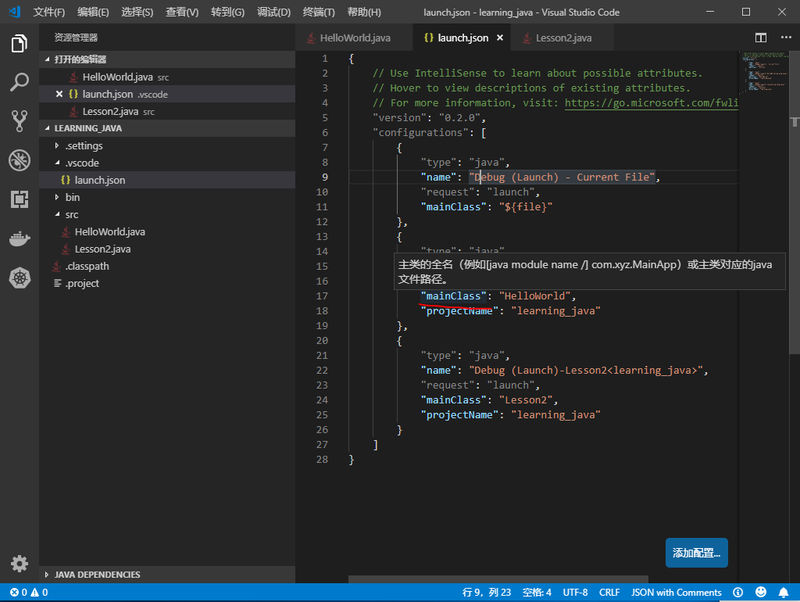 As the user base of Java developers using Visual Studio Code is expanding around the world, we decided to make our tool even easier to use for our users internationally by offering translated UI elements. 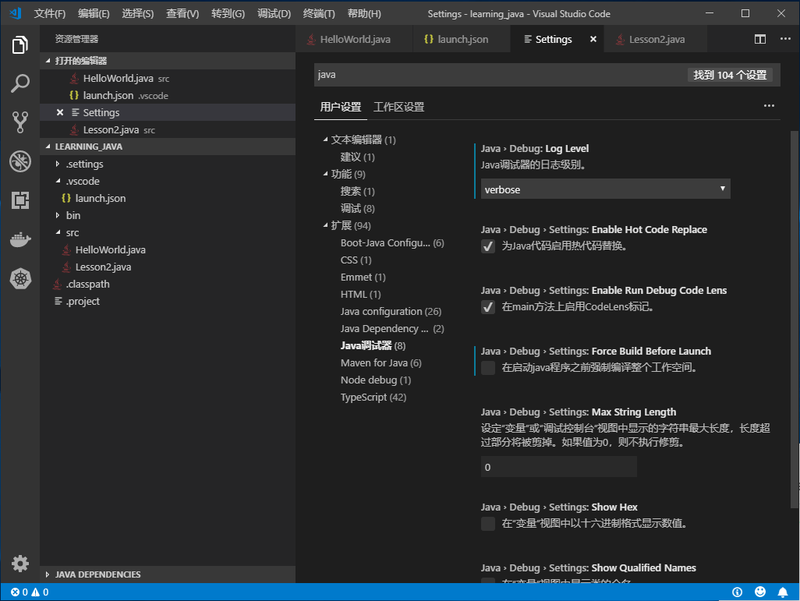 Chinese localization is now available for Maven and Debugger, it will soon be available for other extensions as well. We’d also like to welcome contributions from community for localization as well. During last week’s Microsoft Connect() event, we shared updates on the popular Visual Studio Live Share and Visual Studio IntelliCode features. The new IDE capabilities – all of which support Java – provide you with even better productivity with enhanced collaboration and coding experience that you can try now in Visual Studio Code. Just download the extensions for Live Share and IntelliCode to experience those new features with your friends and co-workers. Happy coding and happy collaborating! When you navigate to a class in some libraries without source code, you can now attach the missing source zip/jar using the context menu “Attach Source”. Your feedback and suggestions are especially important to us and will help shaping our products in future. Please help us by taking this survey to share your thoughts! 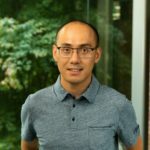 Please don’t hesitate to try Visual Studio Code for your Java development and let us know your thoughts! Visual Studio Code is a lightweight and performant code editor and our goal is to make it great for the entire Java community. Install the Java Extension Pack which including Language Support for Java(TM) by Red Hat, Debugger for Java, Maven, Java Test Runner and Java Dependency Viewer. In case you’re working on Spring Boot, there’re also great support provided by Pivotal and Microsoft available on VS Code including Spring Boot Tools, Spring Initializr and Spring Boot Dashboard.